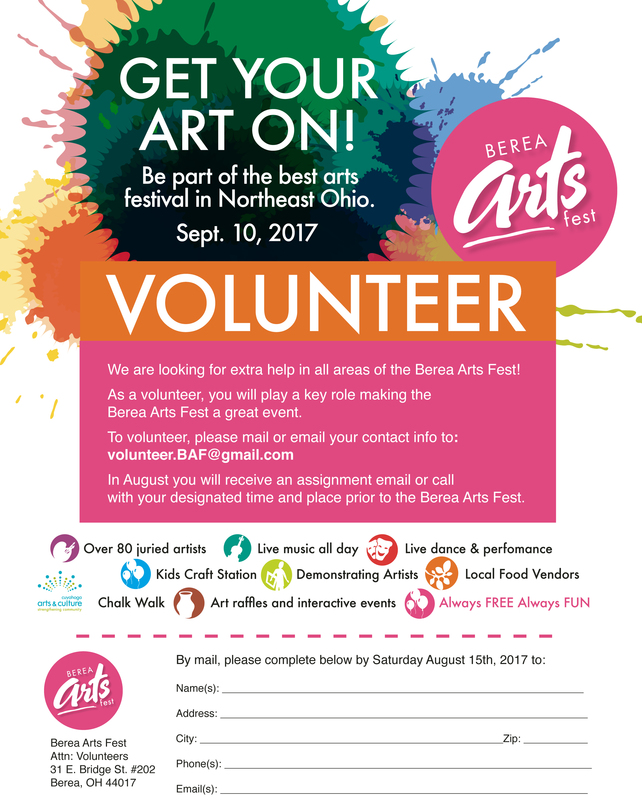 Volunteer | Berea Arts Fest. 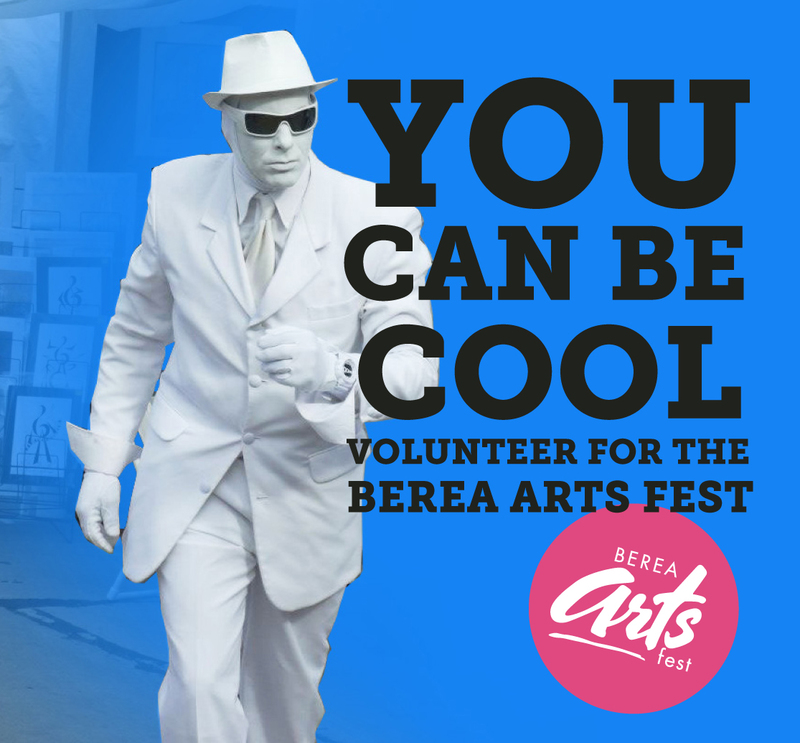 Summer is here and the Berea Arts Fest is looking to celebrate its twenty-eigth anniversary. This year’s event will be held on Sunday, September 9th, 2018. In order for the event to be a continued success, we need the assistance of trusted volunteers such as yourself to aid in this years activities.